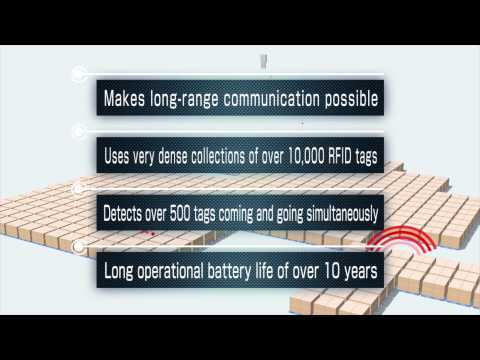 A Radio Frequency Identification (RFID) is a tag that sends data through radio waves. It has become more and more valuable in construction because it can help with efficiency and lowered costs. RFID technology has been around since World War II when friend or foe (IFF) systems using radar and transponders were used for aircraft identification. Today, RFID technology has been used for E-ZPass and microchips in pets. One way it is used is to keep track of shipment materials. If something has low inventory, the system can detect that and notify an employee that they need to reorder the item or items. This greatly reduces downtime waiting for materials to come in to complete a job. RFID technology is also useful because it can help keep track of tools. Tools often go missing on a job site — so much so that at times it seems like they just disappear. With RFID, a construction company can create a system where employees must check in and check out tools and equipment. This keeps track of who has the tools and how long they’ve been used. Other things that can be put into an RFID system are building and inspection logs, fleet management, buried infrastructure like water/sewage pipes, and telecom cables and electrical cables. By using RFID, buried infrastructure can be easily located if they need to be repaired or replaced.